Finding scary kids’ Halloween costumes can be a bit tough, as the market is saturated with cute princess,animal, and superhero costumes. What if your child wants to dress up as something spooky this Halloween? 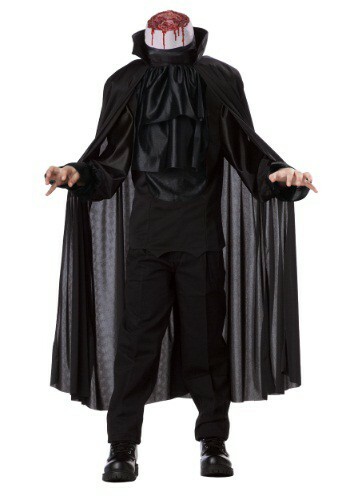 Are you stuck with the age-old vampire, witch, ghost, or Frankenstein’s monster? How do you break through the ordinary? Don’t worry, you’re in luck. 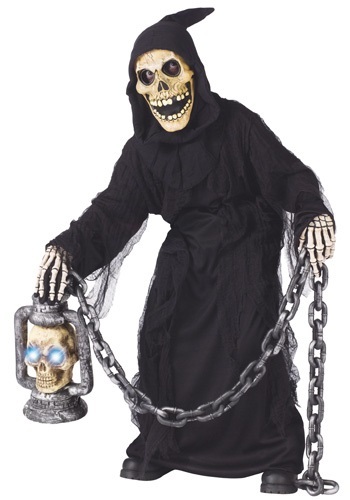 I’ve compiled a list of the top 10 scariest Halloween costumes for kids right here, along with pictures and links to help inspire you. Enjoy! FYI – If you’re looking for not-too-spooky costumes, check out my recommendations for the best places to buy Halloween costumes online. 10. Alien – Who knows what horrors lie behind those dark, bulbous extraterrestrial eyes? 9. 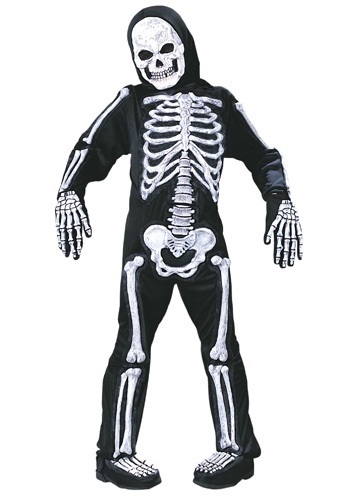 Skeleton – A classic must-have on any scary Halloween costumes list! 8. Gauze Zombie – I like this one because you can add blood to the makeup to make the costume even scarier. 7. 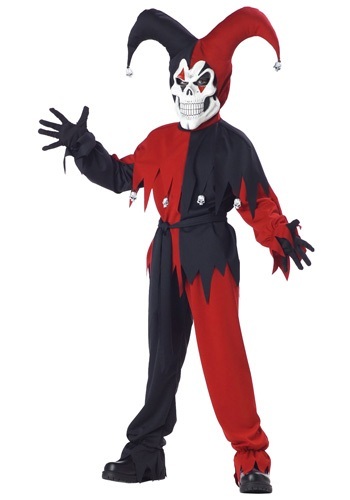 Evil Jester – This terrifying costume is no laughing matter. It’s a perfect replica of the adult version. 6. 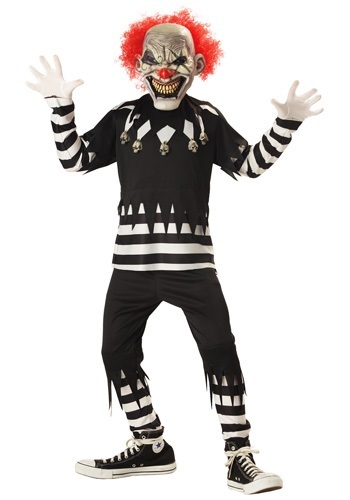 Psycho Clown – Just try to find a scarier clown costume than this one. Add a bloody axe and you’ve got it made! 5. Grave Ghoul – Is it the Grim Reaper himself or a lost, lingering soul? Either way, trespassers beware! 4. 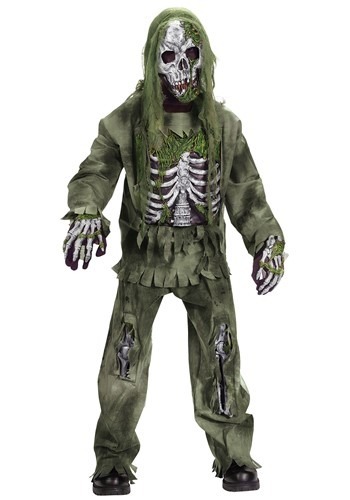 Zombie – A perfect choice any time, but even more so now given the popularity of zombies these days. 3. 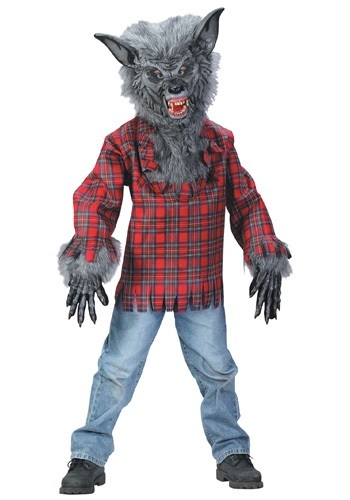 Werewolf – The fiercest lycanthrope costume available for children, this isn’t your grandmother’s Big Bad Wolf. 2. Headless Horseman – Horrific, bloody, and gruesome, the spirit of the horseman is coming to get you! Need more costume ideas? Check out the top 10 sexiest Halloween costumes for women, the best costumes for men, or the top costumes for couples. well those are for sure scary kids Halloween costumes! Wow! The clown, Chucky and the headless man are, for me, the scariest of them all. But the 10 you have there are great ideas. it might be actually too scary for younger kids. What ages would be good for those costumes you think? Hi Emily. I think the choice of age is ultimately up to the parents and child to decide, but as the father of a six-year old, I know I wouldn’t want her wearing most of these quite yet. Speaking only as an individual parent, I’d wait until she was in the 8-10 year old age range. That said, I have friends whose children were watching The Walking Dead at age 7-8, so I suppose it depends on the child. Only the parents can truly know their child best. By the way, if you’re looking for not-so-spooky Halloween party ideas for kids, check out the Kids Stuff page. Also, feel free to share any ideas or experiences of your own by posting them directly on the site or emailing me at patrick@halloweenpartyexperts.com.